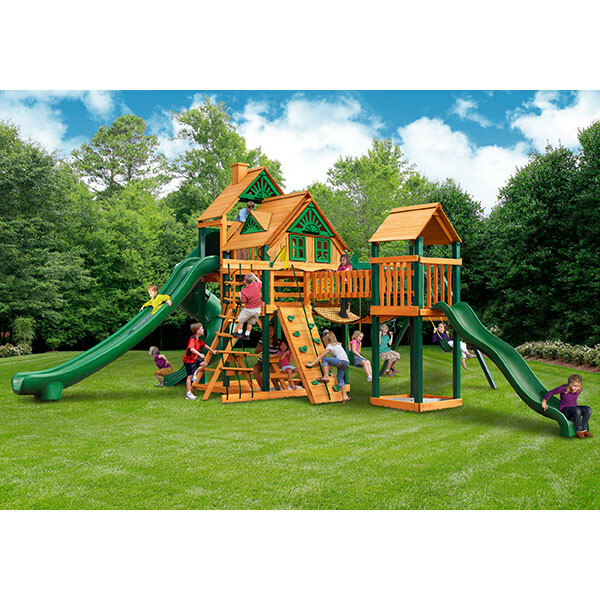 The Gorilla Playsets Treasure Trove II Treehouse is a swing set that truly has it all. 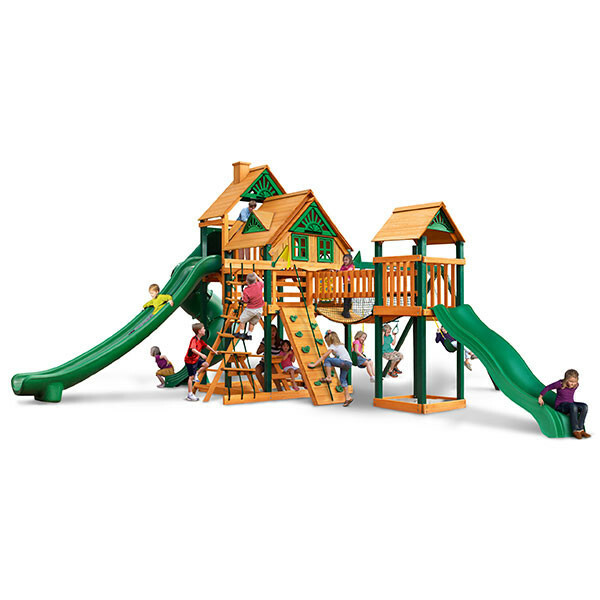 With over 15 ways to play, kids of all ages and interests will love having this playset in their backyard. At the center of this set is a sturdy wooden treehouse that features a wooden roof with chimney, dormers, windows, and working shutters. The play platform has two different levels at 5’ and 7’ and is connected to a second tower that is 5’ high with a cool clatter bridge. There are two super long slides on the Treasure Trove II Treehouse including the radical ride tube slide and the super scoop slide. 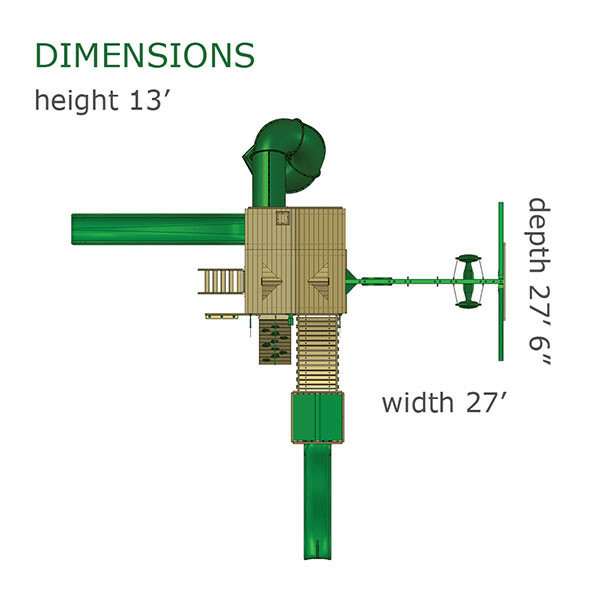 A shorter wave slide is attached to the smaller tower. After zooming to the ground on one of the slides, kids will find tons of swinging and climbing fun with 2 swing belts or trapeze swing to choose from. The rock wall with rope, rope ladder, and safe entry ladder are great for climbers of all abilities. Other great features include 2 sandbox areas, built-in picnic table, tic-tac-toe panel, telescope, and steering wheel. The wooden playset comes ready-to-assemble with all of the lumber, hardware, and illustrated instruction guide that is needed. Lumber is also pre-cut, pre-stained, pre-sanded, and in some cases pre-drilled for your convenience.